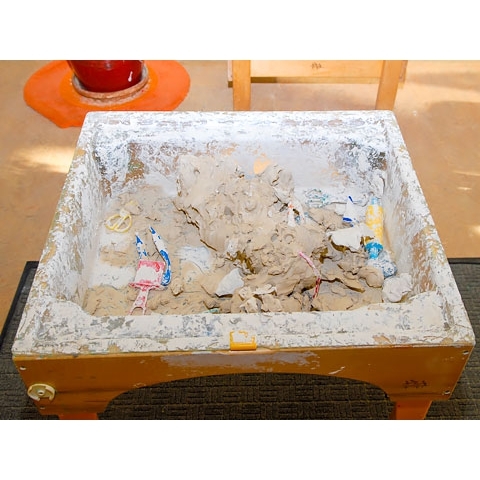 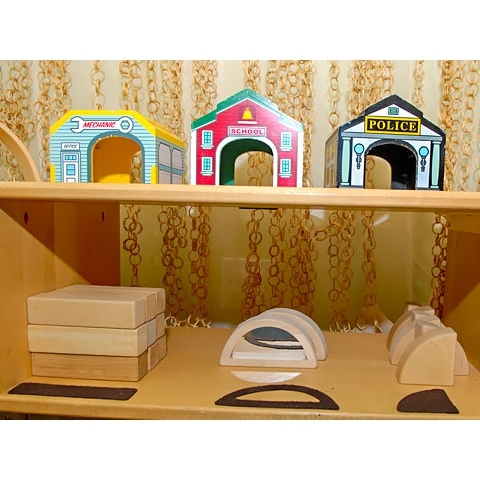 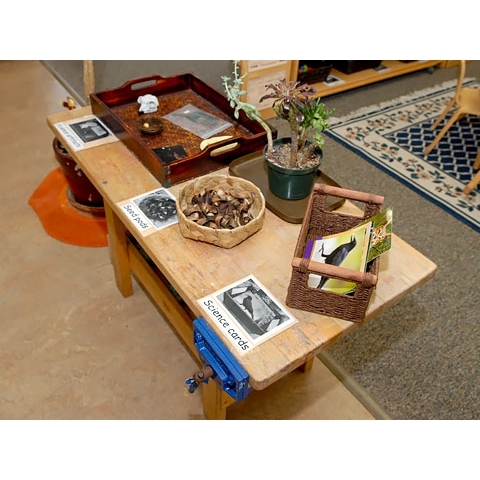 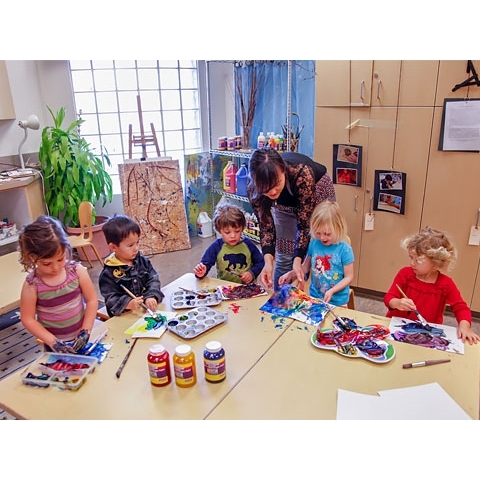 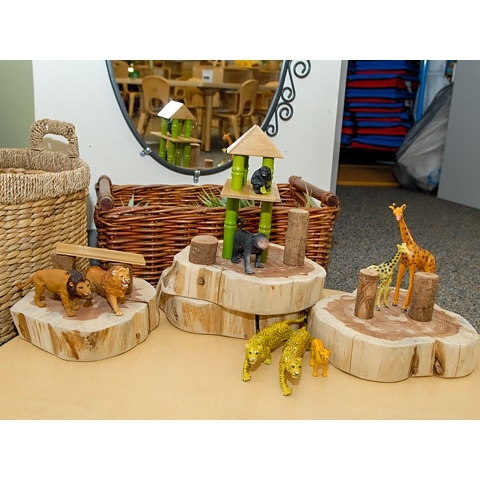 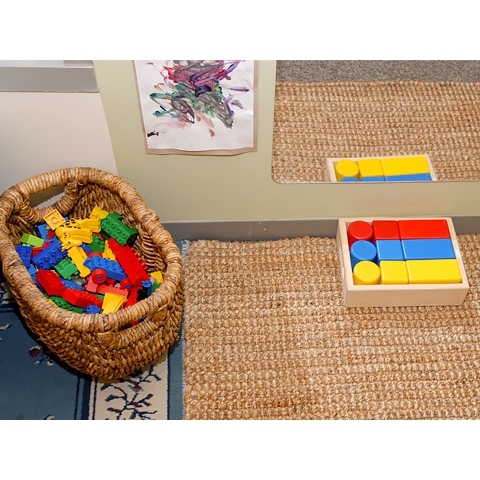 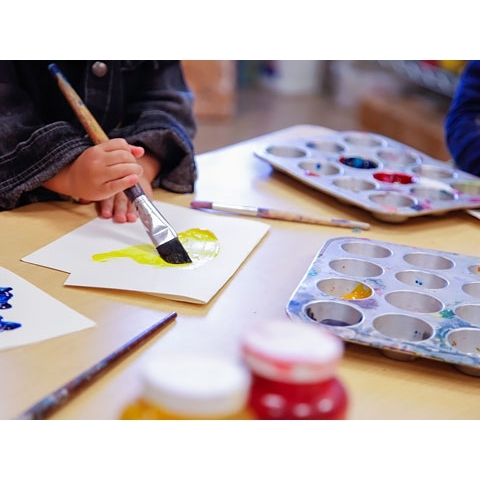 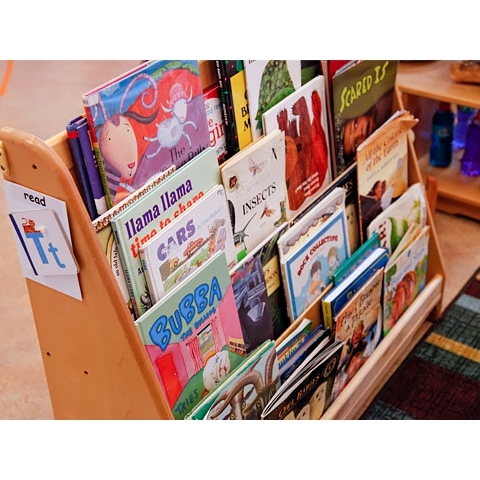 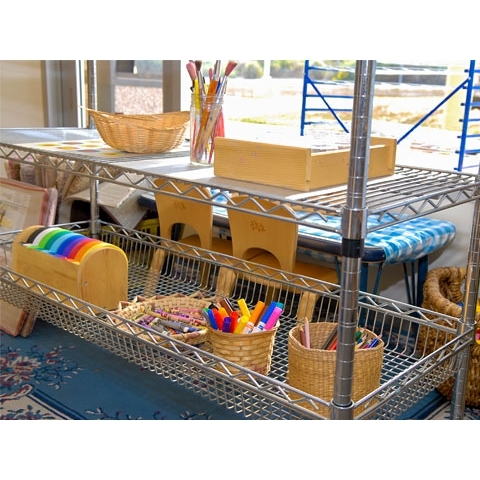 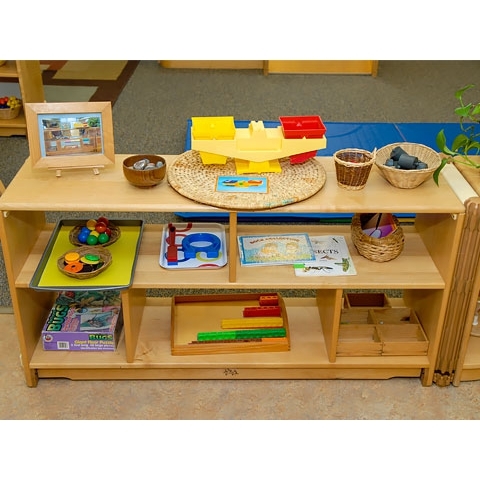 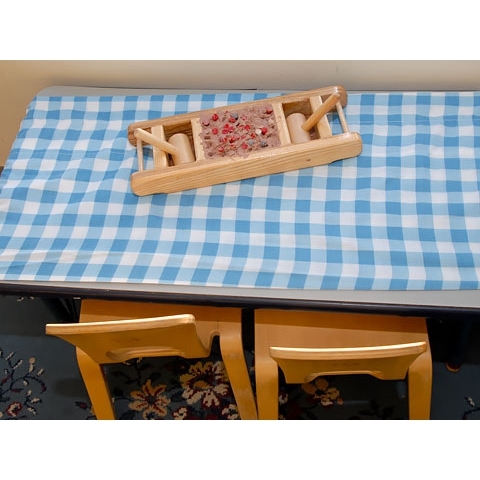 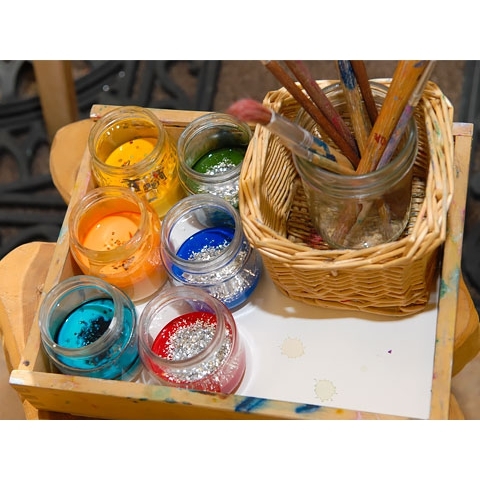 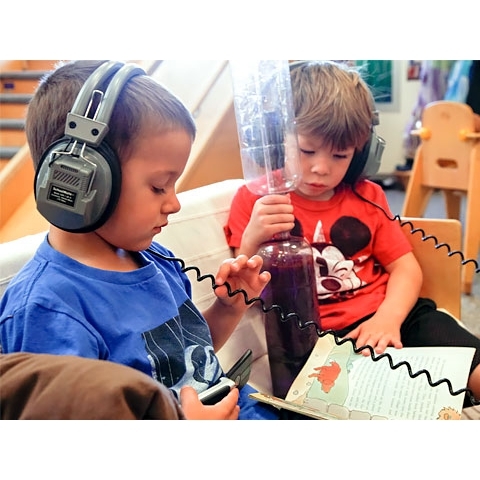 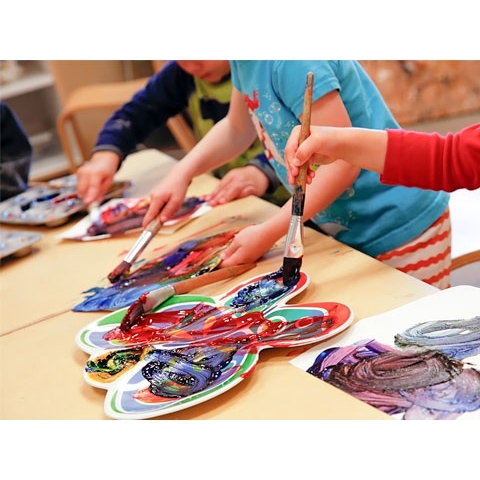 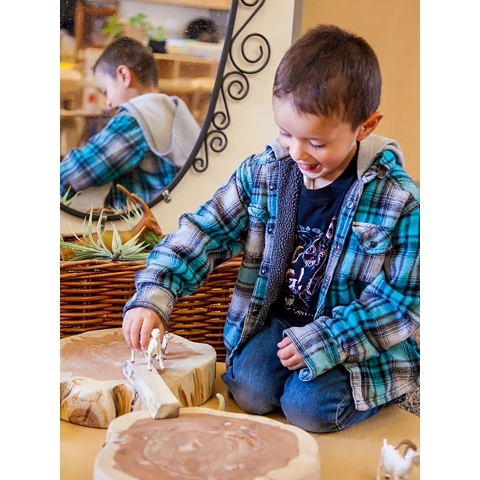 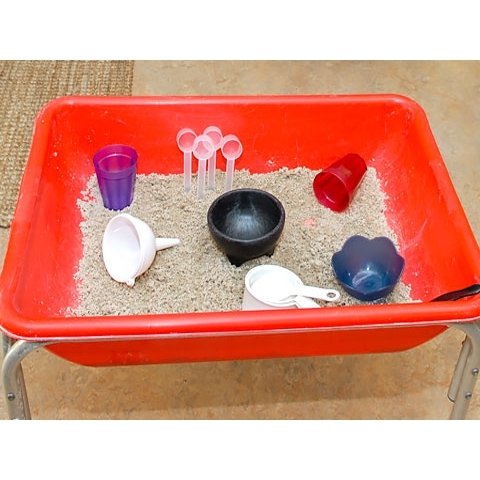 The choice of what materials to include in the early childhood classroom reflects the beliefs that teachers hold about children’s capabilities as learners and their own role in provoking and supporting children’s interests. 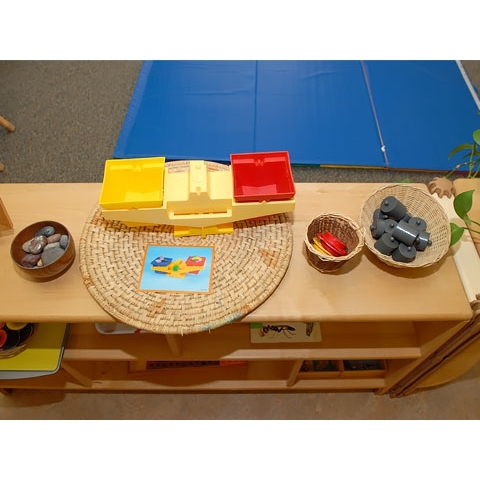 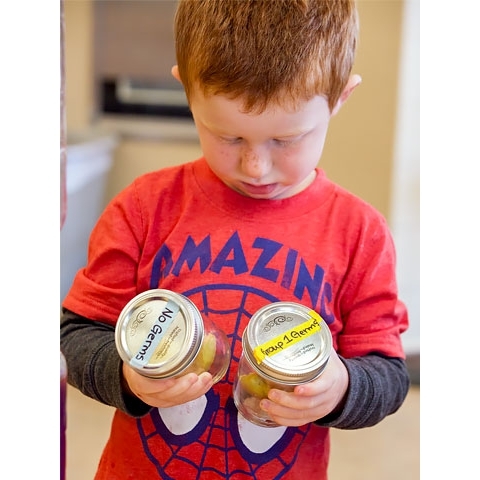 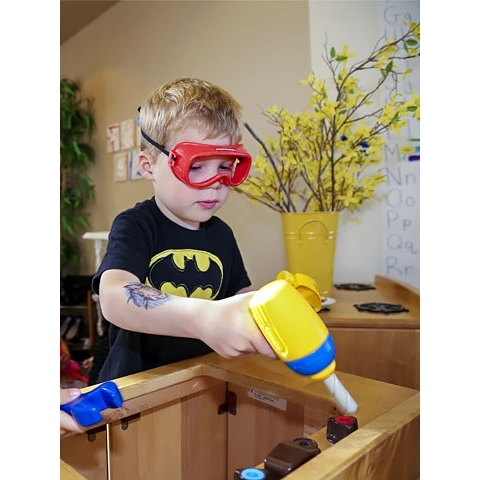 These materials ought to go beyond the traditional items associated with preschool programming (crayons, markers, puzzles, books, dress-up clothes, etc.) 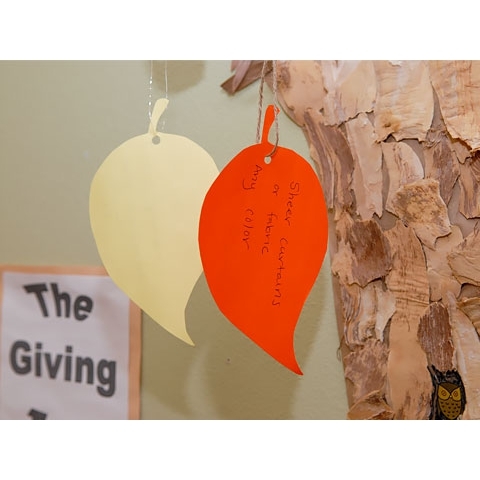 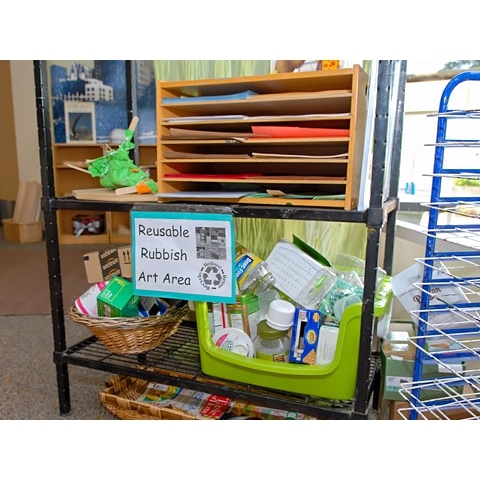 and also include collections of interesting objects (scraps of paper and cardboard, bits of plastic and fabric, twine and ribbon, buttons, bottle caps, and natural materials such as twigs, leaves, bark, shells and rocks). 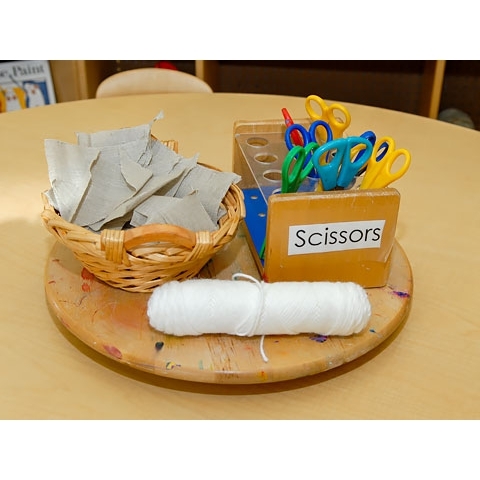 Children themselves and their families can be invited to offer their own valued materials to the classroom. 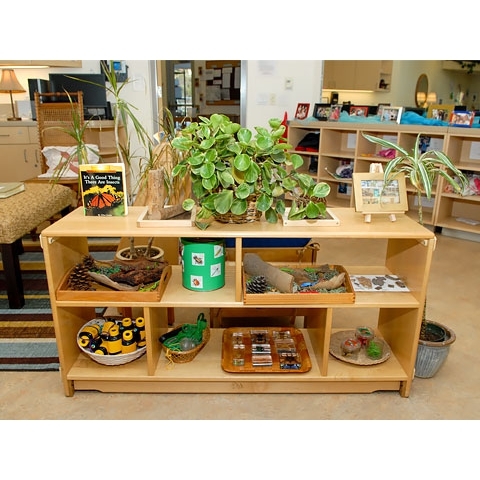 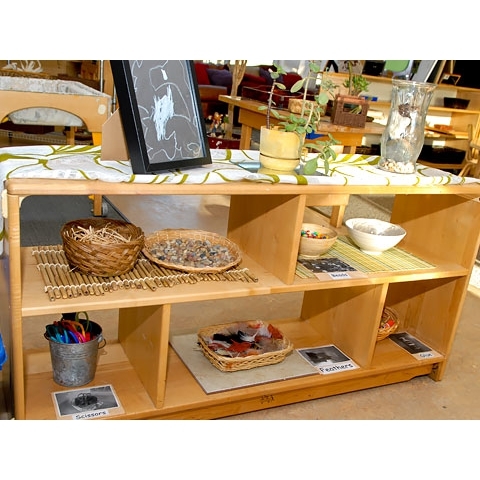 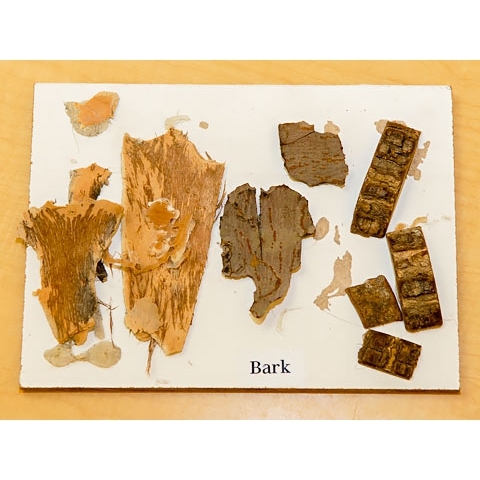 In turn, teachers can provide the spaces and means of organizing, sorting, classifying and distributing these materials within their classroom in support of a wide range of projects and investigations. 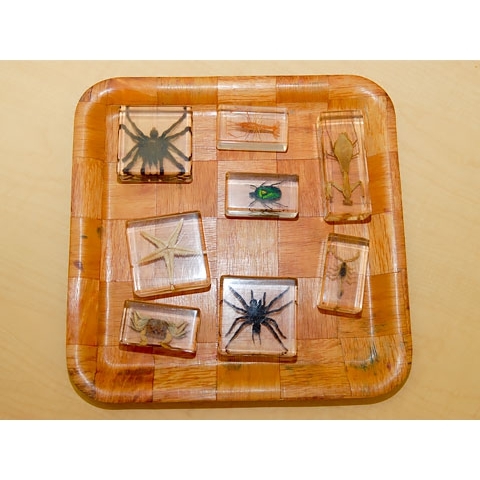 The hot spots represented on the panoramic tour represent a sample of this particular Key Element. 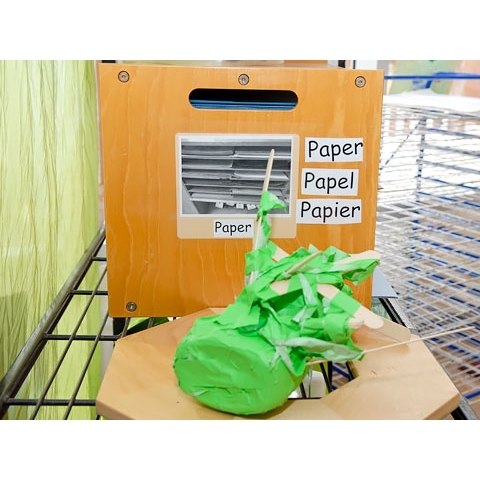 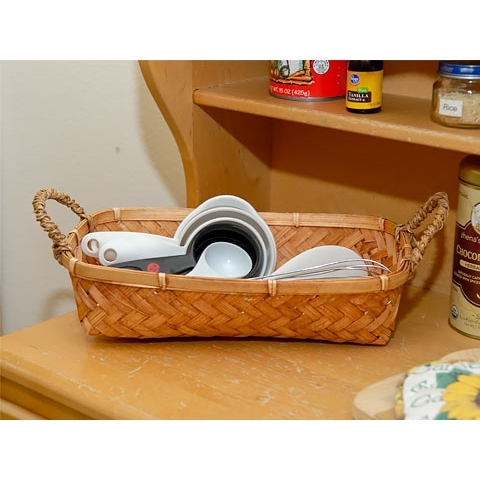 Explore the Video Clips in this section to learn more. 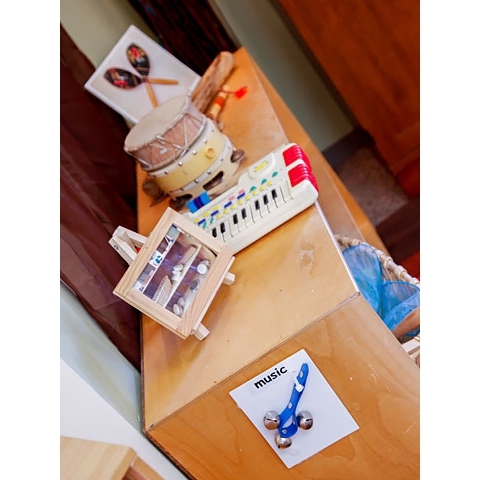 Materials: Real-life instruments and tools, genuine artifacts and natural materials that can be used in a variety of ways (including wood, stone, glass, fabric and wire). 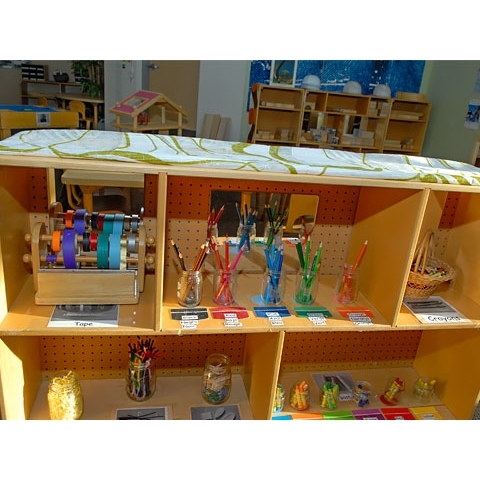 Beautiful Stuff: Learning with Found Materials by Cathy Topal and Lella Gandini (1999). 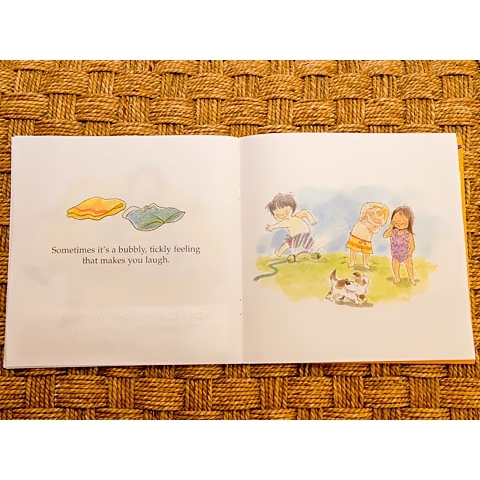 Davis Publications, Inc. 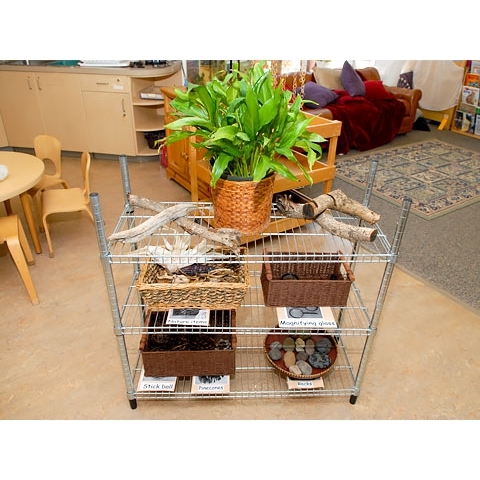 Many strategies and elements included throughout this site are applicable to all students and their families. 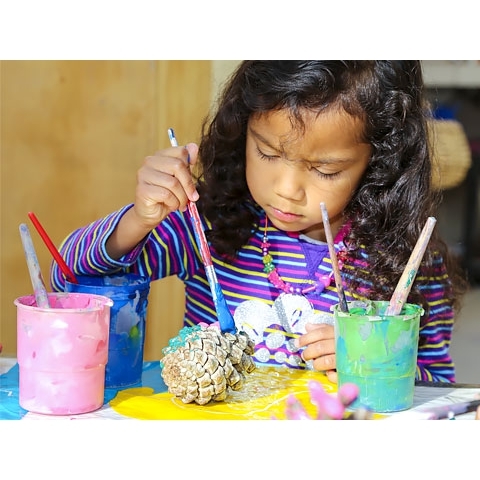 Additional information/resources related to students with disabilities and family engagement can be found within the HQELE Online Tool Overview and MiraCosta Child Development Center Overview (Download/Reference Sections). 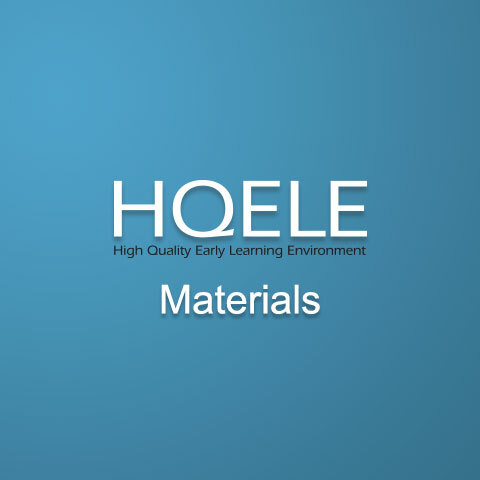 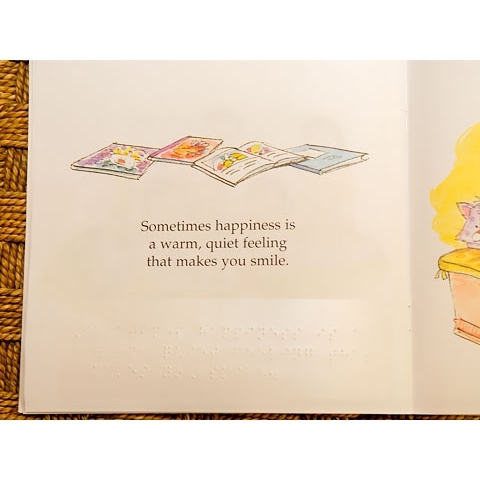 *These slideshow images are being used with explicit permission from MiraCosta College and their families for the sole purpose of the HQELE professional development online tool. 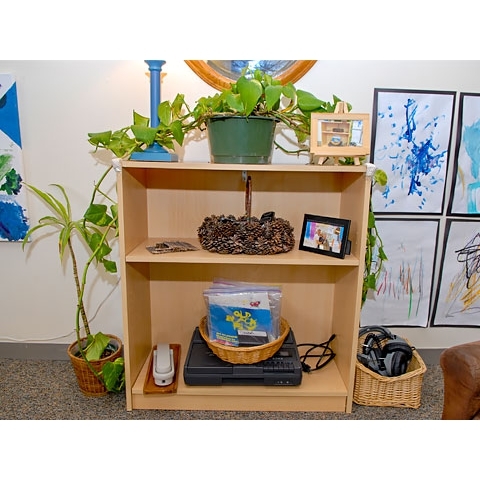 All images remain the property of the California Department of Education, Special Education Division, SEEDS Project, A Special Project of the Sacramento County Office of Education and may not be published, exhibited, broadcast, posted on the Internet, sold, traded, shared, or used in any way not specified without the written permission of CDE- SEEDS Project.